I have added the following article to the James Bibliography and Recent James Scholarship pages. The pdf article is available online here. Mariam and I are very much on the same page regarding the overall message in James. While it is so easy to focus on the commands in the letter and the believer’s responsibility to have faith with works, Mariam recognizes the crucial message in James that such a living faith ultimately comes from the grace of God through his word. It also includes the extravagant mercy of God that triumphs over judgment. Thus, James conveys a theology that spans election through eternity, and this perspective is foundational to understanding the imperatives in the letter. Thank you Mariam, and congratulations on nearing the completion of your program at St Andrews! We look forward to much more good stuff from you. I have added about 40 more titles to the Recent James Scholarship page. They are in chronological order there, so I list them below in alphabetical order. A few of the titles are not entirely related to James, but they do touch on James. Meier, John P. 2008. “The Historical Jesus and Oaths: A Response to Donald A. Hagner and Jonathan Klawans.” Journal for the Study of the Historical Jesus 6: 49-58. I just added nearly 100 new titles to the Recent James Scholarship page. About 40 of them are German titles and there’s also a handful of French titles. They’re in chronological order there, but I list the new titles below in alphabetical order. I basically tried to pick out the James titles from the recent bibliographies found in Niebuhr and Wall’s The Catholic Epistles & Apostolic Tradition and from Batten’s What Are They Saying About James? I was surprised that a lot of these weren’t already here. I know there’s still many more that I haven’t entered, but this is a good jump. Baker, James. 2008. “The Epistle of James: An Overlooked Friend for Emerging Churches.” Paper to be presented at the Evangelical Theological Society 60th Annual Meeting; Providence, RI, November 20.
Cooper, Derek. 2008. “Salvaging the Strawy Epistle: The Protestant Recovery of James after Martin Luther.” Paper to be presented at the Evangelical Theological Society 60th Annual Meeting; Providence, RI, November 19. Cox, Steven. 2008. “A Reconsideration of the James Ossuary.” Paper to be presented at the Evangelical Theological Society 60th Annual Meeting; Providence, RI, November 19. Lewis, Kerry Lee. 2008. “A New Perspective on James 2:14-26.” Paper to be presented at the Evangelical Theological Society 60th Annual Meeting; Providence, RI, November 19. Wow, I thought the Society of Biblical Literature section on “Letters of James, Peter, and Jude” was supposed to focus on 1 Peter this year, and it does. But it turns out that there is a general session concerning any of these letters, so there are several papers included on James in this and other sections. The prescript of James serves an important socio-rhetorical function which provides the key to understanding the purpose of the paraenetic letter as a whole, establishing a guide for exegesis. James 1:1 is the only epistolary element in the document, yet the identification of the (fictive) sender James and the (fictive) audience of the twelve tribes is essential to the interpretation of the text. The address of James “to the twelve tribes in the Diaspora,” along with the pseudepigraphical identification of the author, functions to signal the rhetorical strategy of the letter, acting as a guide for the interpretation of the social world which is constructed in the document. 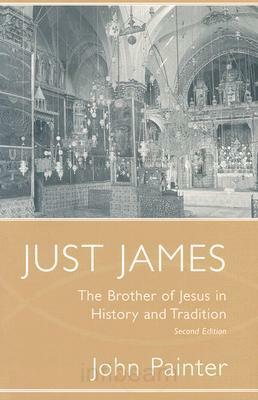 A discussion of previous approaches to the prescript and epistolary status of James, including the characterization of James as a Judean Diaspora letter, an analysis of the pseudepigraphical character of James and the construction of ethos in the letter and a comparison of the text to other Greco-Roman paraenetic letters in terms of the primary importance of status association and negotiation in paraenesis will help to shed light on this socio-rhetorical functioning of the prescript. When interpreters of James come to the discussion about the seating of the rich and the poor in 2:1-13, they are faced with two interpretive options. The majority of recent interpreters, based upon parallel passages in later church orders, opt to understand this to be about seating arrangements in an early Christian worship service. A minority position, which is often noted but rarely taken seriously, is that 2:1-13 depicts an ancient judicial setting between two litigants. This latter position was argued for by R. B. Ward in his 1966 dissertation and a subsequent article in 1969. D. C. Allison demonstrated convincingly in 2000 that Ward’s position, far from being new, was a viable interpretive option among a majority of scholars prior to the 20th century. This paper seeks to build upon the ‘Ward/Allison’ thesis that 2:1-13 depicts an ancient litigious scene in two ways: 1) by demonstrating a significant but rarely noticed parallel between James 2:1-13 and Matthew 7:1-5, and 2) by uncovering the exegetical underpinnings of both of these passages in their halakhic, midrashic engagement with Lev 19:15-18—a section of laws governing just legal judging. Some of the theological implications such an interpretive shift of 2:1-13 might have upon the discussion of faith and works in James 2:14-26 may also be explored. Chris is a great guy and met me at the SBL international conference in Edinburgh when I visited there in 2006. He gave me some good insights into PhD programs in Scotland and living in St Andrews with a family. Wish I could be there to hear your paper in person, Chris! Interpreters have occasionally noted the coincidence between James’ vocabulary and technical terms of Stoicism, usually dismissing them as coincidental. This paper argues that in significant ways, James shares with Stoicism notions of care of the soul, control of the epithymiai, and the role of rational persuasion in the guidance of the soul. The reading of the Stoics’ influence on James received little support and only very recently got a comprehensive treatment in Matt A. Jackson-McCabe’s “Logos and Law in the Letter of James: the Law of Nature, the Law of Moses and the Law of Freedom.” Before “Logos and Law in the Letter of James,” Jackson-McCabe contends, two lonely treatments of the Epistle allowed for a straight connection between James and Stoic Philosophy. Arnold Meyer in 1930, and M.-E. Boismard in 1957, independently argued that implanted logon (Jas 1,21) and the Perfect Law of Freedom (Jas 1,25) were drawn by the author of the Epistle from a Greek environment, particularly from Stoicism. According to Jackson-McCabe, James’ use of Implanted Logos derived from the early Stoa understanding of Émphutoi Prolepseis (Implanted Preconceptions). This paper proposes to add to Jackson-McCabe’s thesis of Stoic influences in James’ psychology and moral theory. It argues that the pseudonym Yakob might be read in light of the Jewish Hellenistic reception of Stoicism of the idea of the Stoic sage who achieves apatheia, or of the sage who is striving to control his passions through moderation (metriopatheia). This conflation of the Jewish Patriarch and Stoic sage can be seen in the figure of Joseph in the Testaments of the XII Patriarchs and in Abraham, Isaac and Yakob in Philo of Alexandria. The Epistle of James is seen deriving its own ideas about the sage from the Jewish Hellenistic reception of Stoicism and the tradition of the haploûs sophos, the single-minded sage, the man who is the embodiment of simplicity, showing no sign of duplicity, listening and practicing the Logos (Jas 1, 33-35) [sic!]. Michael Theophilos (University of Oxford) will present on “A New Fragment of James from Oxyrhynchus.” See my previous post for abstract. This paper is listed for the morning of 22 November and the afternoon of 23 November. Does this merely reflect the preliminary nature of the online program book? Or is this two parts of the same paper? Who knows?